A diamond engagement ring is known for its beauty and excellence but its quality can only be retained if you are taking care of the product delicately. A diamond ring, no matter for what reason you are purchasing, it is expensive. Whether it is a new dawn diamond or a natural mined diamond, it will be expensive than other gemstones. And it is your responsibility to offer proper maintenance to your diamond ring. 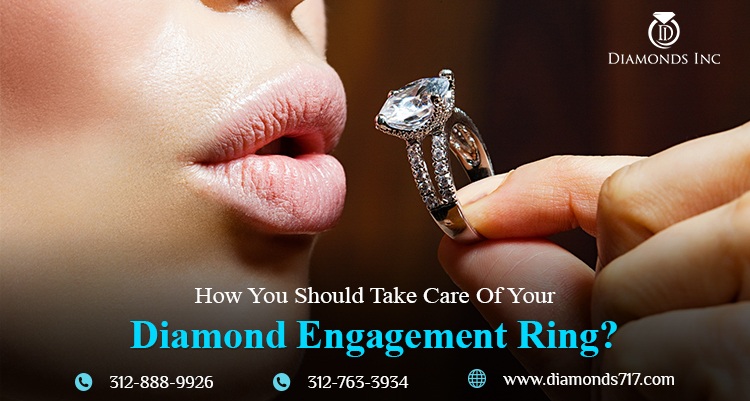 Are you excited to know about the possible ways to take care of your custom diamond ring? This blog will let you learn how to care for your diamond and the diamond settings so as to ensure that the ring stays in pristine condition. 1. Mixing Ammonia in warm water: In warm water, mix a pinch of ammonia along with some dishwashing liquid. All these in a combined form will help you to take out the dirt from the ring. Soak your diamond ring in this warm water and leave it intact for more than 20 to 30 minutes. But make sure, if your diamond is cracked or fractured, avoid adding ammonia, as these will react with the filling as well as coating the stone. 2. Stop bleaching your Jewelry: It is always recommended to avoid bleaching elements as they have a high potential to damage metals such as gold or platinum. So you need to take care of this aspect as well. They are extremely harmful to your jewelry pieces. 3. Use a toothbrush to clean the dirt: One of the best tools to clean any jewelry is a toothbrush. This lets you clean the dirt gently from the jewelry pieces without even disturbing the paving stones or your diamonds. Brush the ring softly with care and make sure it does not lose the prongs. 4. Clean the lower part of the diamond: The dirt mainly accumulates at the mounting underneath the stone and it slowly builds up. So it should be your responsibility to clean the lower part of your custom diamond ring. Don’t forget it. 5. Rinse the ring with lukewarm water: A little warm water and a soft cloth are enough if you are cleaning your diamond regularly. Making a habit of taking care of the piece instead of once in two weeks is always beneficial. 6. Clean the ring once a week: Are you waiting for the dirt to accumulate on your ring? This is obviously a stupid act. Waiting for longer days will harden the dirt and it really becomes difficult to clean the ring by hand. And in that case, you need an ultrasonic cleaner. This accumulated dirt can be harmful to your ring as well as for your health by causing an indirect reaction. To avoid these, clean your ring once in a week and make it dirt free. 7. Take care of the metal settings: There are different options based on the settings through which a diamond ring can be customized. Now, if you are having a gold finished setting, the dirt can be cleaned by polishing. However, if your ring is based on sterling silver, it should be polished with a silver wipe. It doesn’t matter what type of diamond you are wearing. What matters is the way you are keeping your diamond safe and secure. You need to be gentle enough while you are wearing your diamond piece. There often such cases where a diamond wears off in a glance. You need to take care of such small things while you are about to put on a diamond or carrying a diamond jewelry pairing with your attire. What are the things that you need to take care of while wearing them? 1. Make sure it has a nice fit: Loose fitted diamonds always have a tendency to forget its wearer’s address. Such a ring have a high possibility to lose its stone or cause damage if not taken proper care. 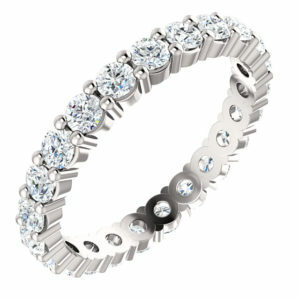 Therefore, it is indeed a requirement to ensure that your diamond jewelry gives you a nice fit. Otherwise, it could slide off your finger while you are focusing on any other activity. Is your ring troubling you in the same way? 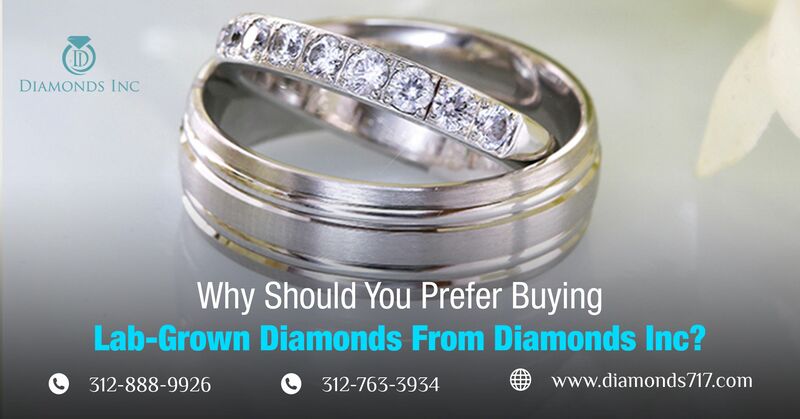 Get through the top best jewelry repair service in Chicago and resize or repair your custom diamond ring. 2. Avoid catching your ring: What do you mean by catching? There are some diamond cuts or diamond prong settings that have a strong risk of catching on some materials, such as sweaters, hair, lace etc. Avoid such rings that offer this function or be gentle while you are carrying these rings. 3. Stay away from dirt: Yeah, it is possible to clean a diamond ring but it is not the best option always. The best thing is to avoid reaching such situations. Activities that is associated with dirt are like playing sports, gardening etc. If you won’t get there, your ring will be devoid of dirt. Not just while carrying, you should even be careful while you are storing the diamond jewelry pieces in your safe or wardrobe. The same aforesaid guidelines are liable for other diamond jewelries as well. Customize your diamond jewelry from Chicago and embrace these. Are you looking for jewelry repair service in Chicago? Why don’t you reach Diamonds Inc? The outlet in the Jewelers Row, Chicago, is not just known for its diamond wardrobe, but has also gained its fame as the best jewelry repair service providing a destination. Step into the store to get the best diamonds for your love. 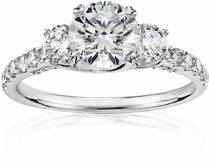 Diamond engagement rings are in popularity for thousands of years. They used to define these rings as the symbol of love and commitment and even now, these rings possess the same significance and meaning. 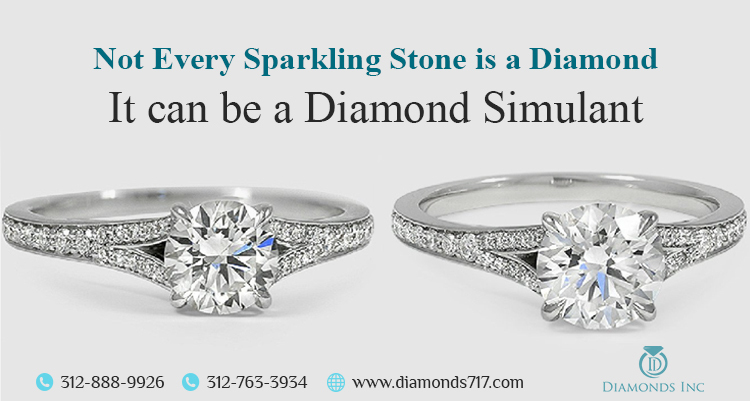 Are you planning to customize a diamond engagement ring from Chicago? For that, you need to know about the latest designs and styles that are launched in the market. Diamonds never get backdated. But the designs and styles that are crafted to add beauty and luster to the diamond pieces always change with time. And the only way to learn about the new addition is to explore the galleries. 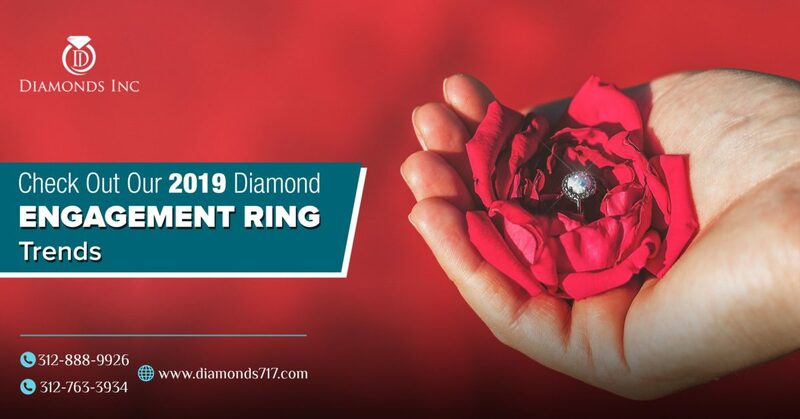 Based on the survey, here we have listed down some latest engagement ring trends that are going to create a buzz in 2019. 1. Fancy Shaped Diamonds: Are you looking for a diamond engagement ring? Whenever it comes to an engagement ring, it is the traditional round brilliant diamond solitaire ring that strikes our mind. Isn’t it? However, 2019 has come with non-round or fancy shaped diamonds. 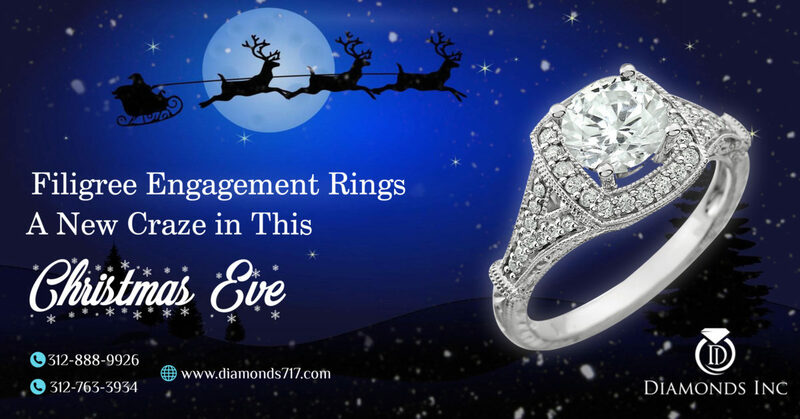 Oval and pear-shaped diamond shapes were in the limelight in the previous year and you must have expected the same. 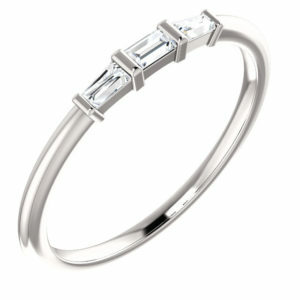 But surprisingly, this year is all about the fancy cuts like cushion cut or radiant cut diamonds. 2. 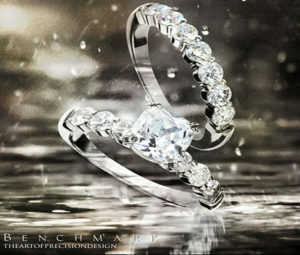 Halo Diamond Rings: Halo diamond engagement rings of Chicago were in the high flame in the past few years. However, owing to their elegant and marvellous texture and appearance, these are again in trend. The speciality of these diamonds is they appear large when stacked as the center of the diamond ring. Many couples crave for this distinct and delicate accent. 3. 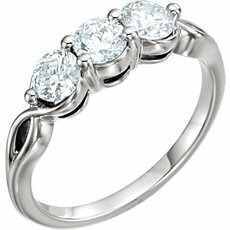 Contemporary Take on Three-Stone Rings: Three stone rings have a lot more to seek the attention of the viewers. It is being said, that the three stones feature the couple’s past, present and future, where the center gem is accented by two diamonds or other other gemstones on either side. Such a contemporary look adds a distinct perfection to the timeless treasure. 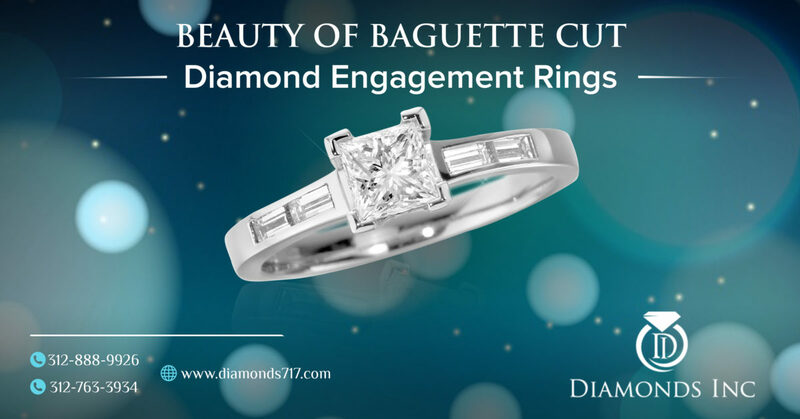 If you want, you may incorporate them with fancy-shaped diamonds or unique accent gemstones like baguettes, trillions, pears, etc. 4. Yellow Gold Rings: Till now, platinum or white gold metals are preferred with diamonds to give a lusturous and signified look to the ornament. This year people are ready to shop something new. Yellow gold engagement rings with accented diamonds that were once faded, are again in trend. Diamonds or other fancy colored gemstones are inserted to complement this ring, thus offering a bit vintage, classic and modern style. 5. Stacked rings: Among the other selecting styles, stacked rings are pretty famous. Whether it is for an engagement purpose or any other special occasion, couples are now preferring to customize rings stacked with diamonds. 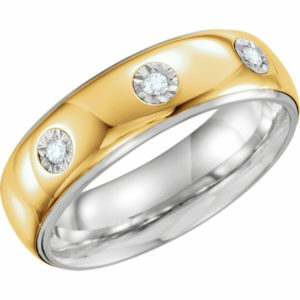 These basically resemble wedding band – a bit traditional, a bit modern, overall providing a timeless classic look. 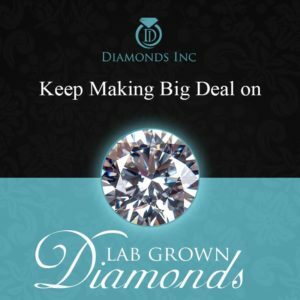 Above all, lab-grown diamonds or new dawn diamonds are highly appreciated by most of the buyers. Nowadays, buyers are more budget conscious. 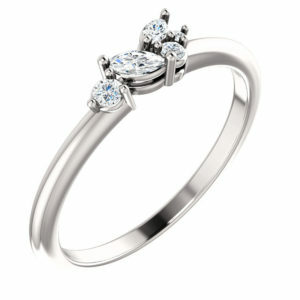 They look for amazing yet economical stuff and that is the reason why the new dawn diamonds are being highlighted. These diamonds are stated “eco-friendly” as they won’t disturb a single shovelful of the earth while the creation. Although being lab-created, they are formed under the HPDT or CVD process, thus ensuring the same identical properties of a real mined diamond. In fact, if you compare them gracefully, these diamonds are more sustainable than organic diamonds and are more elegant and fire. Confused, whether to go with these? Oh! Come on. 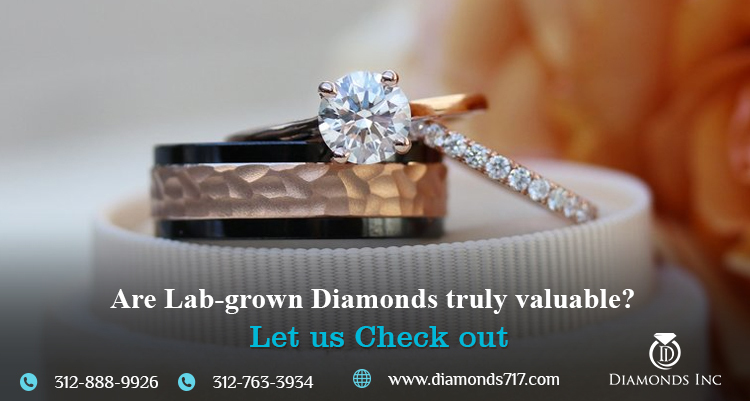 These may be lab-created, but are authentic GIA certified diamonds, that gives you the assurance that they are not duplicate and you can rely on for your purchase. Are you heading to customize an engagement ring from Chicago’s leading diamond outlet? In that case, Diamonds Inc may serve you the best to a great extent. 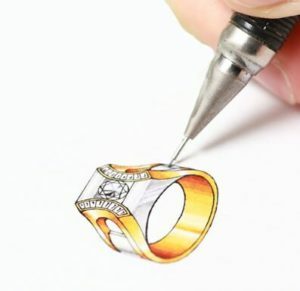 They do not just offer wide diamond creations, but even allow the clients to customize their products, at a reasonable rate. You must have come across the assortment of vintage engagement rings. These antique or vintage-inspired engagement rings have never ceased to impress the population. Likewise, the passion for Filigree engagement rings came into limelight in recent years. Like the vintage segment, filigree rings are also the ancient form of decoration, often appreciated by many brides and grooms. They offer a delicately laced feature with an amalgamation of distinctive detail and feminine styling. All these conjointly, present an ancient or vintage aesthetic to the overall beauty.Will you like to try out something vintage at your wedding? Why don’t you make your desired purchase this Christmas?The vintage theme will never depreciate your beauty. Rather it will enhance the flame of romance in a creative way. This Christmas check out the diamond stores in Chicago. Along with exclusive offers you get the opportunity to explore their intense collection. Are you craving for an engagement ring that gives prominence to a filigree adornment? Here you will uncover some of the common classifications regarding these ring types. Get through the four fundamental styles of filigree engagement rings. 1. Multi-tone Filigree: Multi-tone filigree engagement rings are configured with two different hues or metal types. 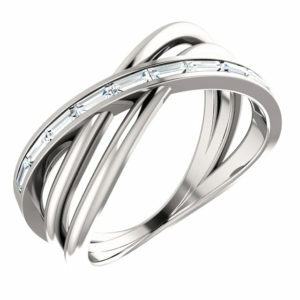 The ring is often featured with metals like white gold or platinum. They are often mixed with the regular yellow gold metal so as to generate a complex, luminous pattern. If you are bored with the traditional diamond engagement rings, you can simply switch over to multi-tone filigree. They add an amazing beauty to the ring that would definitely not exist if they were designed from a single metal. 2. Multiple Filigree: Another paramount engagement ring that you may discover from the diamond stores in Chicago, is the multiple filigree engagement rings. This particular ring is detailed with multitudinous patterns apparently intertwined with one another. 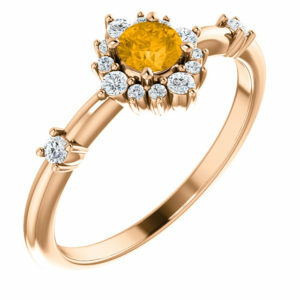 You may feature this ring with signature gemstones. But such a beauty is occasionally unnoticed or more influenced by the amazing artwork. 3. Complex Filigree: Leaving all other wedding rings behind, complex filigree engagement rings have astonished the majority with its own reason of glory. Its detailed artwork coupled with several amazing patterns evenly glide from one to the other. This particular artwork is not just to make the ring complex but even to display the complexities of the craftsmanship, the art. 4. Simple Filigree: If you are not at all interested in a complex pattern, then you can even opt for a simple one. As the name suggests, they are too simple in their design. A pattern is delicately placed in a specific region of the ring. Say, for example, a heart-shaped diamond or other gemstone positioned as the center stone of the ring. Well, it’s quite obvious that such a rings, compared to others, are less charming and beautiful. But they can definitely be your choice if your taste bud confined to this. Which one would you like to prefer? Diamond stores in Chicago have multiple variants. The choice is yours. 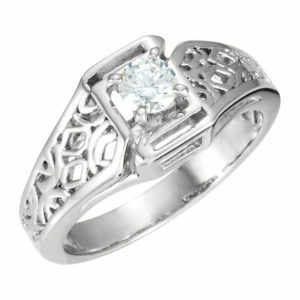 But whatever it may be a Filigree engagement ring is certainly a romantic approach if getting hitched. Are you looking for an heirloom filigree engagement ring? We guess that would add more to its exquisiteness, definition, and value. This unique style will always be in demand, no matter what encounters this timeless piece. A wedding and engagement are two of the most special times in life. So, it goes without saying that you have to make them as extraordinary as possible so that you can cherish them for your entire lifetime. A lot of efforts are put in to make these occasions, the most fabulous ones and everybody involved play a crucial role in the cause. Rings are one of the most integral parts in any engagement or wedding and so, a lot of focus should be put into choosing the best one among the lot. You may think, why so? Well, a beautiful ring for such occasions brings its own share of glamour and charm that will intensify the elegance and beauty of the moment. A couple is incomplete without the perfect ring. They make them appear extremely graceful during the entire course of the occasion. It often gets difficult to choose the most suitable ring. So, how to go by it? 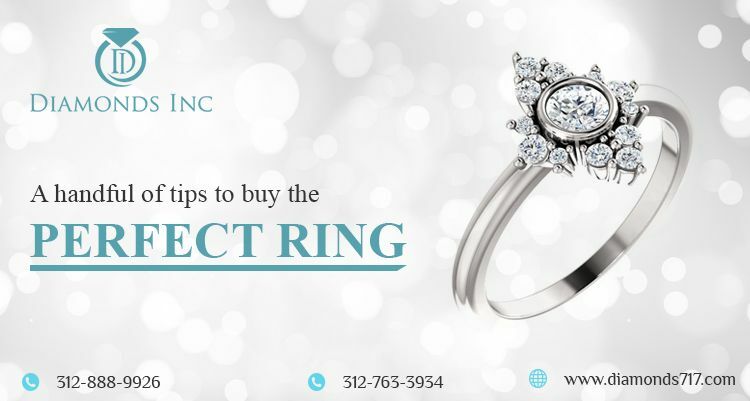 This blog will present you with a handful of tips that will assist you in choosing from the numerous wedding or engagement rings in Chicago and other places and will reduce your worries to a healthy amount. Let’s have a look at them below. Rings have different purposes for different occasions. During an engagement, they act as a promise to get married. And when it comes to marriage, they act as the symbol of staying with each other through the thicks and thins of life. Depending on the occasion, a ring is chosen. Today, there are thousands of ring shops, both offline and online, that promise to present glamorous products at the most reasonable rate. So, you obviously find it difficult to make a decision and stand firm on it. So now, let’s go through the useful tips that will help you out when in such a dilemma. Before you and your partner decide to actually go on a ring shopping spree, make sure to set a budget. Whatever may be the reason for buying a ring, an engagement or a wedding, a developed budget will favor the cause to a significant extent. Having a pre-determined budget will help you to focus better on the kind of rings that actually would love to buy and your mind won’t wander off to others that are beyond or below your price range. A set budget will narrow down the available options and help you select from the top engagement or wedding rings in Chicago and other places. 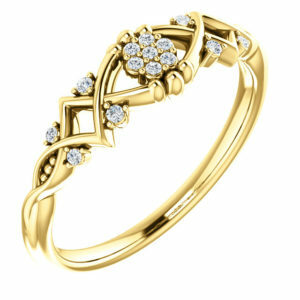 Rings for such special occasions are abundantly available in different kind of materials. The most common ones are gold, platinum, white gold and titanium. While the first three are traditional standards, the titanium ones can act as excellent substitutes in case you are allergic to specific metals or if you desire less-costly items. Also, these metal rings come with diamonds too. 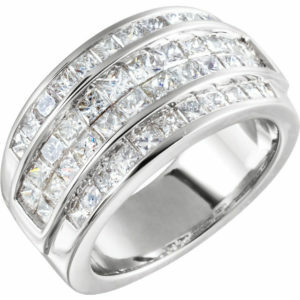 If you are looking for a diamond-embedded ring for your wedding or engagement, then Chicago is a top place to visit. But first, have an idea of the metals used, as it will enhance your selection process. Consider buying a ring just like a normal shopping process. What do you do when shopping for an ordinary item? You visit one store to another and compare the items, price range, and other things and only then, make the most suitable decision. Apply the same formula here. You must put in a lot of efforts to make your engagement or wedding, a charismatic one. There are certain stores which offer unique products while there may be some who offer their products at lucrative discounts. So, visit several stores and then make a final decision. Apart from the above ones, there are some additional tips too. Go through them below. What most of us do wrong is, we leave certain crucial things, like in this case rings, for the last moment. This eventually leads us to finish the task in hurry and most often than not, we end up buying the wrong item or not the most suitable one. Both wedding and engagements are extremely special life occasions. They demand more attention. 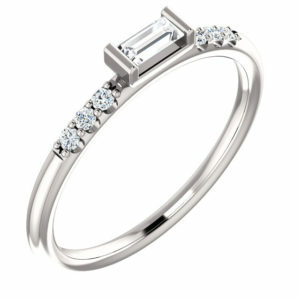 So, spend a significant amount of time, and choose the most stylish rings. Don’t buy in hurry. 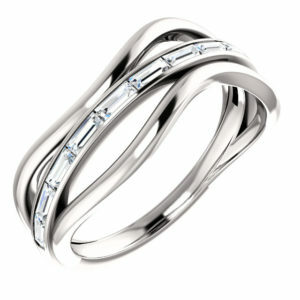 You will find both engagement and wedding rings, to be extremely stylish. They are designed with the mindset that they need to appear stylish to deliver the charm that is expected from them. So, choose the ring that will suit your individual style. Also make sure that it is an item that will not let you feel uncomfortable, as generally rings are worn on an everyday basis. So, follow these tips and buy a gorgeous ring for the purpose!